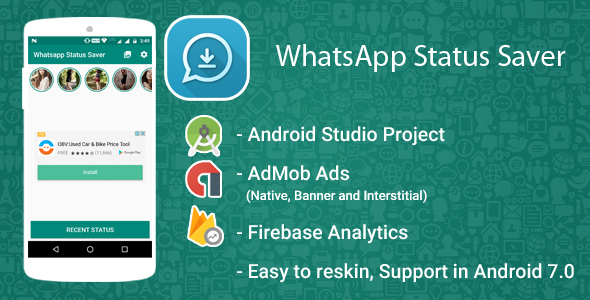 The "WhatsApp" name is copyright to WhatsApp, Inc. Whatsapp Story Saver is in no way affiliated with, sponsored or endorsed by WhatsApp, Inc. If you notice that any content in our app violates copyrights than please inform us so that we remove that content. This app is an independent one and is not affiliated with any 3rd Party including Whatsapp inc. App not use to clone or hack anything it just display downloaded files in app.